Its taken a while to get to this point, but I liked how they turned out. 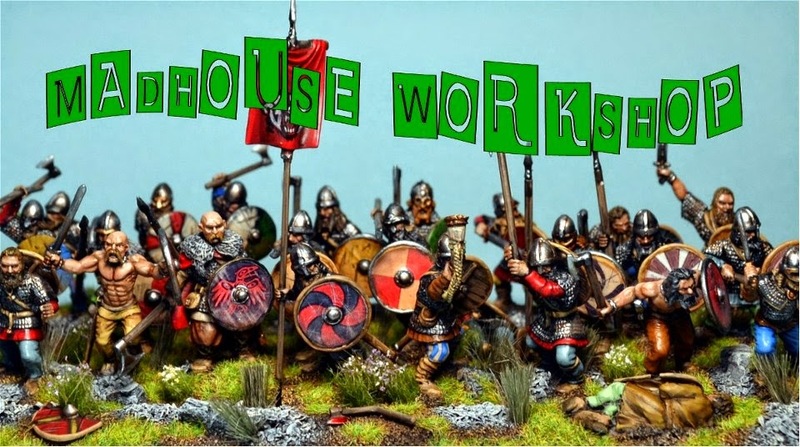 I'm using the same basing scheme as my Vikings as likely they'll be just my house WAB army for downstairs basement action. These are all Gripping Beast plastics with the armored front ranks being the Saxons and the back ranking Fryd being from their Dark Ages Kit. I also decided to use a number of different colors in the pallette to distinguish them from my Vikings. A little bit brighter colors. Staying with the same theme on the movement trays....attempting to tell small stories with them. I purposely painted the Fyrd in more muted colors to the emphasize the lack of money they had in comparison to the armored folk. Another masterpiece, PC. Exceptionally well painted and based.